This show will be spooktacular with storyteller Pete Griffin and musical guests (TBA). Pete started his career with the US Forest Service in 1973 as a wildlife biologist. When he was promoted to District Ranger on the Tongass National Forest in Juneau, Alaska in 1999, he started recording short natural history vignettes for radio. Titled, Tongass Trails, the essays documented his exploration of the temperate rainforest and eventually incorporated Pete's experiences growing up in the Upper Peninsula of Michigan (yes, he's a Yooper). The Red Jacket Jamboree is a new old-time radio variety show showcasing stories and songs from Michigan's Keweenaw Peninsula (Copper Country). 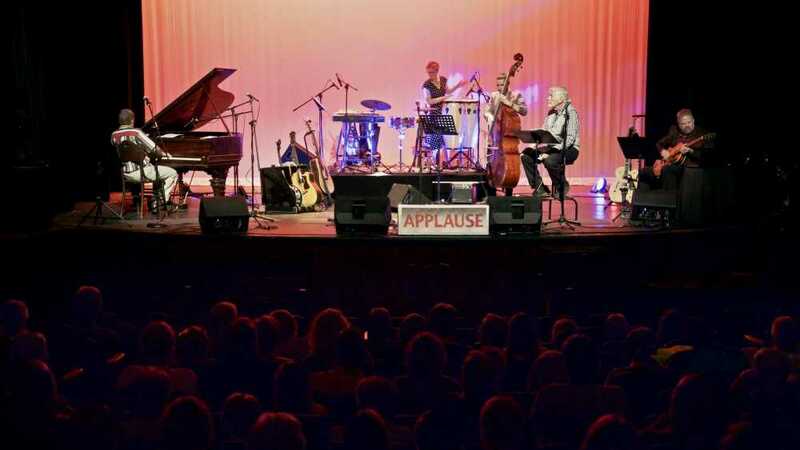 Musicians, singer/songwriters, poets, and storytellers perform in front of a live audience at the historic Calumet Theatre for radio broadcast at a later date. Every episode of The Red Jacket Jamboree features music by the house band- The Copper Cats, with Jerry Younce on guitar, Bill Carrothers on piano, Carrie Biolo on percussion/vibraphone and Harry South on Bass.